A group blog on books, and only books! 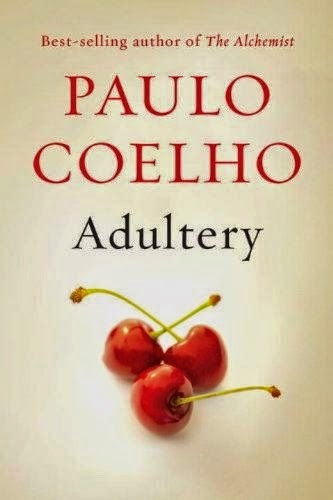 At the very mention of Paulo Coelho, I envision a book that is of full of wisdom and emotional insight. This new book wishes to do exactly that, but does not quite reach up to the standards set by The Alchemist or Veronika Decides to Die. The book fundamentally talks of how monotony leads to apathy in relationships. Adultery is set in Geneva, about a middle-aged, 'happily' married woman with two children, a moderately successful career, and a rich husband. Conventionally, this is all you need to be happy: but Linda, the narrator of this tale, feels otherwise. She is terrified of the monotony that seems to have become a part of her life and the pattern of her daily life. She concludes that passion in life, albeit dangerous, is necessary. An encounter with her teenage sweetheart rekindles her feelings for him, and they start on an affair that is more sexual than romantic. She ends up falling for him again, which does not seem to be quite the case for her partner. The story ends with Linda getting back to her family, once she realises what matters is love, and only love. "Have you noticed how human beings are more frightened by spiders and snakes than by automobiles despite the fact that deaths from traffic accidents are much more frequent? This occurs because our minds still living in cavemen times, when snakes and spiders were lethal. The same thing happens with a man's need to have multiple women. In those times he went hunting, and nature taught him that preservation of the species is a priority; you must get as many women pregnant as possible. And didn't women also think about preserving the species? Of course they did. But while man's commitment to the species lasts, at most, eleven minutes, for the women, each child means at least nine months of pregnancy. Not to mention having to take care of the offspring, feed it, and protect it from danger of like spiders and snakes. So your instincts were developed differently. Affection and self-control became more important." The logic is so fantastic, it almost makes me agree with him. This book is not about love. The part about love that the author suggests as a possible way out of all troubles in relationships is true, but so clichéd that it fails to strike a chord the Paulo Coelho way. This book is that kind of experience that makes you conclude that more than the destination, it is the journey that is insightful. In parts, it seems to remind me of Veronika Decides to Die, but I don't complain. You love the book as you go, but the climax is not as promising. In all, I liked the book because I agreed with the writer's understanding of human behaviour. 2014 All rights reserved by the Bibliotheca team. Theme images by luoman. Powered by Blogger.